Can Dogs Eat Tomatoes - Is It Safe to Share Tomatoes With Your Dog? Can Dogs Eat Tomatoes – Is It Safe to Share Tomatoes With Your Dog? 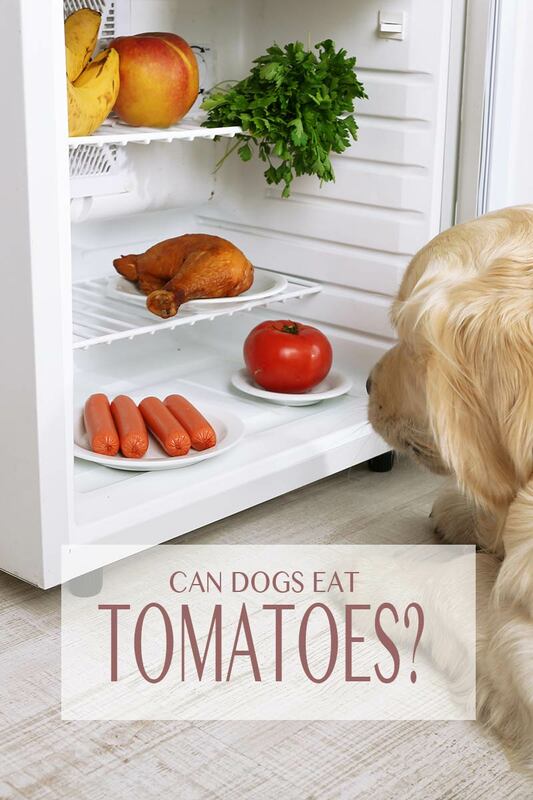 “Can Dogs Eat Tomatoes?” has been reviewed and approved for 2019 by our team medical adviser, Dr Samantha Austwick MBBS. Are you wondering if tomatoes could be the newest tasty treat to share with your dog? You might have heard that tomatoes have some health benefits for dogs. But there are also some serious potential risks if you don’t do it right. Some parts of the tomato plant are toxic to dogs. Unripe tomatoes are also poisonous to dogs. So can dogs have tomatoes at all? Let’s look at whether tomatoes are ever safe for dogs, whether they have any nutritional benefits, and which tomato containing products, if any, it’s okay to feed to your dog. Are tomatoes safe for dogs? Some parts of the tomato plant are safe for dogs to eat. Other parts, however, can be very toxic. And in certain rare cases, your dog may actually be allergic to tomatoes (hey, it happens to people too!). When it comes to tomatoes and dogs, it is very important you know which parts are safe to feed your friend. Let’s take a closer look at what parts of a tomato your dog can eat, and which parts it should never have. What Parts of a Tomato Can My Dog Eat? Some parts of the tomato plant are safe for dogs and some are not safe. The reason your dog must not eat these parts of the tomato plant is because they contain high amounts of a toxic substance called tomatine. The stems, leaves, roots and immature green tomatoes can each contain up to 5 percent concentration of tomatine. Five percent concentration is quite a lot! Tomatine is a form of solanine, a poison common to all plants in the nightshade family, including tomatoes. But what about ripe, red tomatoes? Don’t they contain solanine/tomatine too? The answer is “yes,” but ripe, red tomatoes contain only trace amounts of tomatine. This makes ripe tomatoes generally safe for dogs to eat every so often as a treat. However, just to be safe, you probably don’t want to feed even ripe, red tomatoes to a young dog, since puppy immune systems are still developing during the first year of life. Of course, the big safety challenge here is if you decide you want to grow organic tomatoes in your backyard. Homegrown fruit and veg is becoming more and more popular. However, the same dangers will apply in homegrown tomatoes. 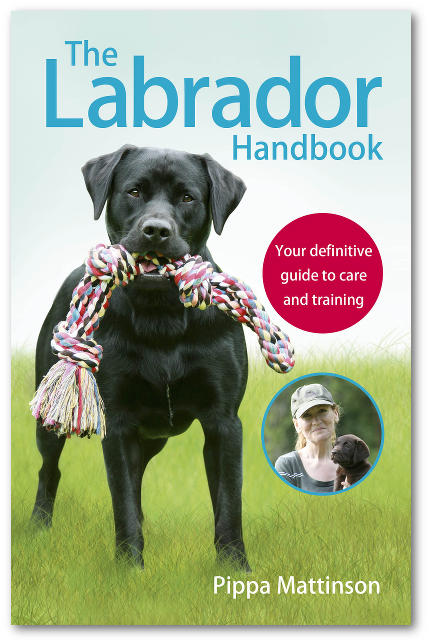 And as any dog owner knows, if it looks off-limits to your pup, it is quite likely he will want to get into it straightaway! So if you decide to grow organic tomatoes, be sure you install a pooch-proof perimeter fence or place your potted tomato plants well out of reach of your dog. Make sure he can’t get to any parts of the tomato we know he should never eat! Are tomatoes good for dogs? While the jury is still out in some circles regarding whether tomatoes are fruits or vegetables (as of 1883, the Supreme Court has sided with the vegetable advocates), no nutrition expert will deny that tomatoes as a food source are actually quite nutrient-rich. Reason being, tomatoes are low-calorie and high in fiber. They contain large amounts of the carotenoids lycopene and beta-carotene, which can help fight off diseases. Tomatoes are also packed with anti-oxidant vitamins – specifically, vitamin A, vitamin B12 and vitamin C.
They have a lot to offer in the minerals department as well. They are packed with folate, chromium and potassium. So they’re clearly full of nutrients. 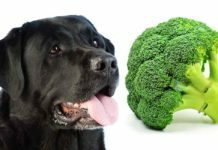 But what effects do these nutrients actually have on our dog’s health? What can tomatoes contribute to body function and health? Whenever we’re giving our dogs a new treat, it’s important to know how it will benefit our dog’s health. Finding treats with nutritional benefits is a great way to keep our pets happy and healthy! Lycopene: reduces risk of heart disease and stroke, promotes strong, healthy bones, aids in cancer prevention. Beta-carotene: wards off metabolic syndrome and improves cognition. Vitamin C: improves immune response and reduces risk of cardiovascular disease. Potassium: promotes healthy blood pressure, nerves and muscles. Vitamin A: aids in good eyesight. Vitamins C & A: maintains healthy skin and supports faster wound healing. As your dog’s owner, when it comes to tomatoes and your dogs health, you get to make the final call on whether you think the possible benefits outweigh the potential risks. We now know tomato plant leaves, stems, roots and immature green tomatoes are potentially toxic to dogs. However, ripe, red, mature tomatoes have sufficient nutrient and health benefits that it may be worth offering your dog a ripe tomato treat now and again. One thing you should do before letting your dog eat ripe tomatoes is to remove the skin or wash the tomato thoroughly with a vegetable wash solution. This is especially important if the tomatoes are not organic. Organic produce is grown and processed without use of pesticides, herbicides, insecticides, chemical fertilizers, dyes, genetic engineering or synthetic agents of any kind. If there is any part of a ripe, red tomato that may contain other unknown toxins, chemicals or poisons, it is the skin. This can even be the case with organic tomatoes, since the skin can pick up toxins circulating in the outside air. 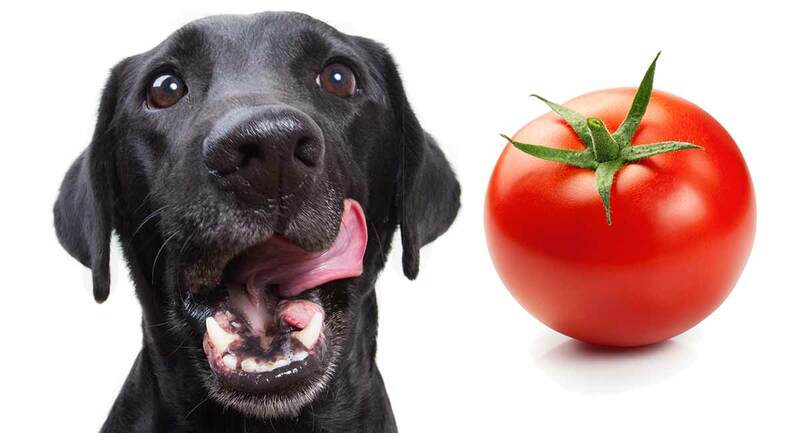 Once you remove the skin of a ripe, red tomato, your dog can generally enjoy tomatoes safely in moderation. Can dogs be allergic to tomatoes? Can dogs have tomato allergies? The answer to this question is a simple “yes.” Tomato allergies in dogs are not common, but it can happen. Unfortunately, there is no real way to know in advance whether your furry sidekick will be one of those rare dogs who are allergic to tomatoes. The only way to know for sure is to feed your dog tomatoes and then wait about 30 minutes. Hot pink or red ear skin. Here, it is also worth mentioning that the symptoms of a tomato allergy will look different than the symptoms of tomato poisoning. It goes without saying that if your dog displays any of these symptoms, you should rush him to a veterinary urgent care clinic right away! Be sure to keep all toxic parts of a tomato plant away from your dog to avoid this. If your dog displays any of these symptoms, take him to your vet even if you don’t think he’s digested any tomatine, as they may indicate a different serious health problem. How much tomato can dogs eat? When it comes to Labradors, “where there’s a will, there’s a way” seems to be the standard species motto. You are also likely to hear that the pup in question survived her adventures. Thankfully, modern veterinary medicine has more than a few miracles up its sleeve. While there is no hard and fast rule regarding how many ripe, red tomatoes a dog should be permitted to eat, one good rule of thumb is to feed a smaller dog fewer tomatoes. Also, if your dog is trying ripe, red tomatoes for the first time, only offer a slice or two until you know for sure how he will respond. One large or two smaller red, ripe tomatoes fed as a weekly treat will give your dog the benefit of all the nutrients in tomatoes without exposing him to any potential issues from the tomatine. 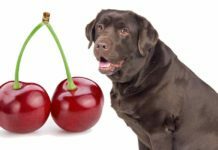 Can dogs eat cherry tomatoes? So long as the tomato treat is ripe and red in color, no variety of tomato is off-limits. You can safely feed cherry tomatoes, beefsteak tomatoes and other varietals. Although you may want to feed a lesser quantity of a larger tomato. Are tomato plants poisonous to dogs? Stems, leaves, roots and immature green tomatoes are all poisonous to dogs, no matter what type of tomato. Can dogs have tomatoes that are green? The answer is definitely not. You should never feed green tomatoes to your dog. They contain up to 5 percent tomatine and are highly toxic to dogs. 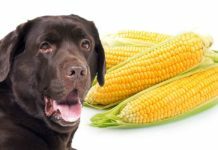 If your dog inadvertently gets into your garden and eats green tomatoes, it is best to seek veterinary care right away. If your regular vet is not available, take your dog to an urgent care or poison control vet clinic urgently. Can dogs eat cooked tomatoes? Cooked tomatoes deliver the potent anti-oxidant lycopene in a form the body is more easily able to absorb, which is one benefit of eating cooked rather than raw ripe, red tomatoes. You can let your dog eat pure, ripe, red cooked tomatoes occasionally as a treat. However, be SURE that no green or less mature ripe tomatoes were added during the cooking process, as these can be toxic to your dog. Also be sure the cooked tomatoes do not contain any additional ingredients, such as sodium, spices or additives that may be harmful to your dog. Eating cooked tomatoes has actually been shown to aid in absorption of their nutrients, especially lycopene, which offers a potential smorgasboard of potent health benefits. However, take care to only give your dog cooked tomatoes or tomato sauce when you know only ripe, red, mature tomatoes were used. Also, be sure you know what other ingredients may have been added to the sauce before allowing your dog to try some. 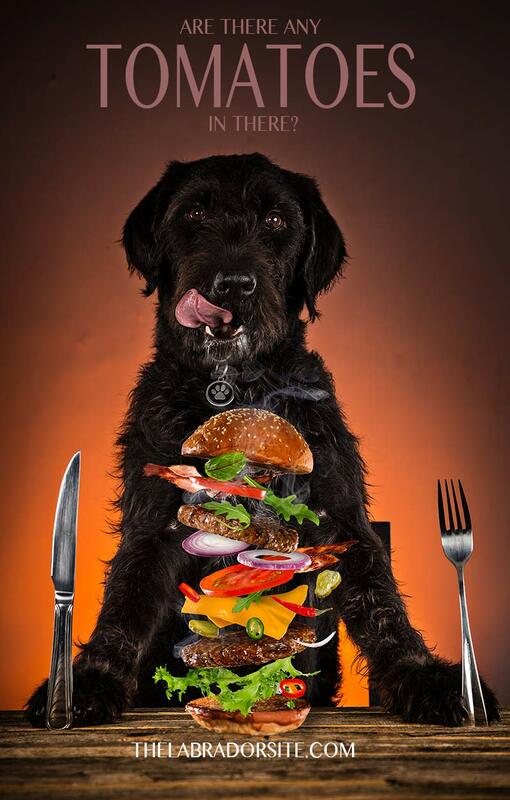 For example, two common complementary ingredients in tomato-based dishes, onions and garlic, can be toxic to dogs. Can dogs eat tomato soup? 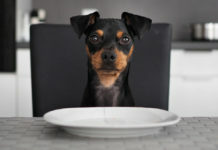 The main reason not to let your dog eat tomato soup is because other ingredients may have been added to the soup, such as sodium, flavorings, spices, onions, garlic or dairy. These additional ingredients may be harmful or toxic to your dog. 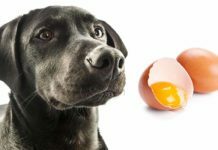 If you’re not sure about any of the ingredients, it is best to avoid giving it to your dog. Can dogs eat canned tomatoes? In the case of canned tomatoes, so long as the tomatoes used are sourced from ripe, red, mature tomatoes only, they should be safe for your dog to eat. But it is also a good idea to check the ingredients list first. Here, you are checking to be sure no additional ingredients, such as sodium or preservatives, have been added to the canned tomatoes. If you see these additives, it is best not to feed the canned tomatoes to your dog. What should I do if my dog eats tomatoes? If your dog eats ripe, red, mature tomatoes, just watch her for the next hour to make sure she doesn’t exhibit any signs or symptoms of an allergic reaction or tomatine poisoning. If your dog eats immature green tomatoes but only a trace amount (like a thin slice), watch her for the next hour to see if she shows any signs of tomatine poisoning. 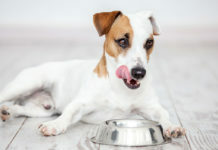 With only minor ingestion, some dogs may show symptoms and other dogs may be just fine. If your dog eats a larger quantity of immature green tomatoes, it is best to contact your vet right away to make an urgent care appointment just in case. If your regular vet is not available for any reason, make plans take your dog to an urgent care vet clinic as soon as possible if symptoms develop. You don’t just have to give your dog plain old tomato slices! There are loads of recipes online for homemade dog treats that include tomato. Dogs can eat tomatoes in a few specific scenarios. However you will need to weigh up the potential risks with the possible benefits. Never feed your dog green tomatoes, or a tomato based product which may have other ingredients that could disagree with him. In the vast majority of cases, offering your dog the occasional ripe, red, mature tomato treat will potentially enhance its overall health. But in a small minority of cases, however, allergic reaction is a possible risk. Does your dog eat tomatoes? Does your dog enjoy tomatoes as a treat? We’d love to hear about your dog’s opinion on tomatoes in the comments below! Hall, H., M.D., “Killer Tomatoes and Poisonous Potatoes?,” Science-Based Medicine, 2012. Szalay, J., “Tomatoes: Health Benefits & Nutrition Facts,” Live Science, 2016. Basko, I, DVM, “Ask Dr. B – Are Tomatoes Toxic To Pets?,” Holistic Vet, 2013. Raines, E., DVM, “Are Tomatoes Toxic to Dogs,” Vet Info, 2011. Paredes, R., “Can Dogs Eat Tomatoes? Read This Before You’re Red In The Face,” Dog Pack, 2016. Yuangklang, C., ‘“Digestibility of Sundried Tomato Pomace in Dogs,” Journal of Applied Animal Science, 2015. Next articleWhy Does My Dog Smell – And What Can I Do About It?